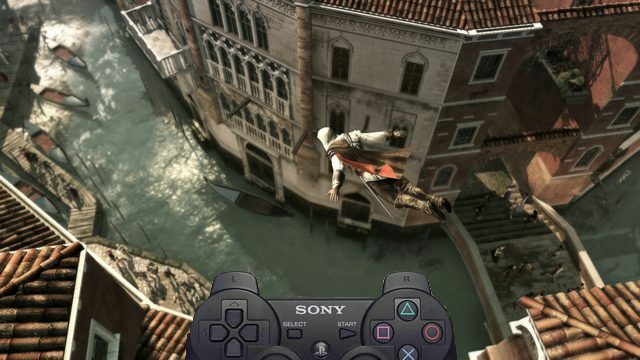 Despite growing up with a PS2, I missed out on several games for the system. There are more than a few horror games I’ve missed out on from that system, through a combination of being too young to play those games at the time and being so young that I found the box arts for those games too scary to look at. Honestly, I didn’t even get into horror games until playing Amnesia: The Dark Descent a few months ago. (Talk about jumping into the deep end.) 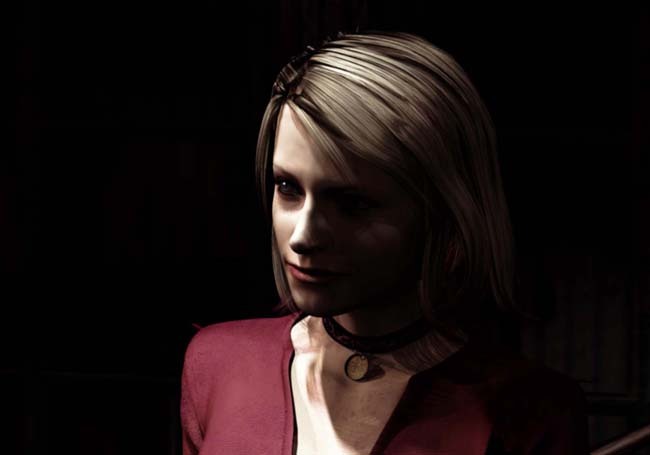 About a month ago I started on what seems to be considered the horror game: Silent Hill 2. 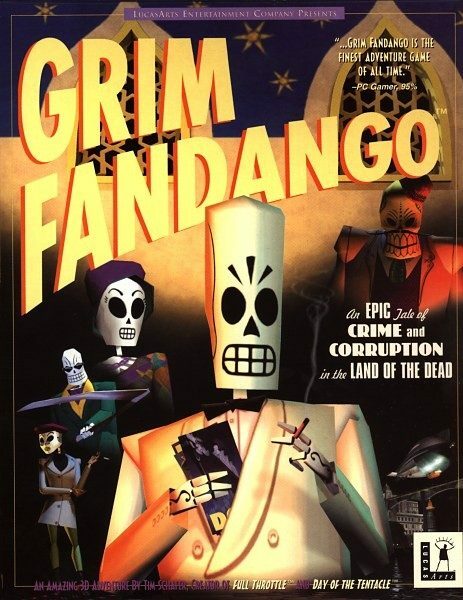 It’s flawed and has quite a few… issues in its design, a few of which are linked to its age, but past all that, the plot, the characters, the atmosphere, and the music make it a brilliant game, and one of the best I’ve ever played. 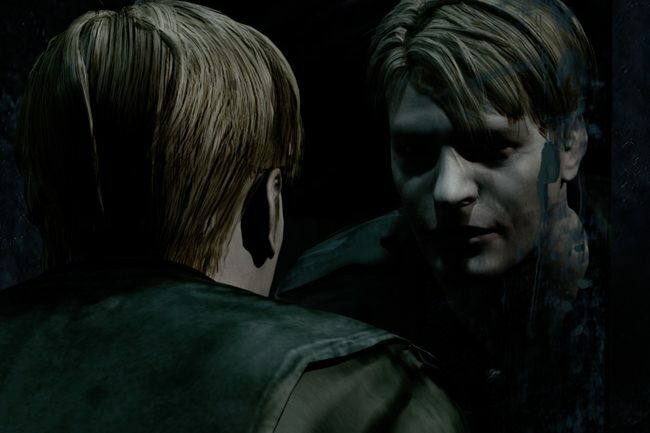 The plot of Silent Hill 2 revolves around James Sunderland, a depressed man looking for his dead wife after getting a letter from her telling him to meet her at the eponymous town. Along the way to his destination, he meets various characters, each searching for something they’ve lost, and a woman who bears a strange resemblance to his wife. Aside from the ending selection, I found a lot of the gameplay deeply flawed. The various enemies you come across are all scary-looking, but (aside from Pyramid Head and the boss fights) you can easily run past them regularly. After time, enemies become more annoying than scary. The boss fights do manage to be tense, despite most boiling down to “walk to opposite corner of room, shoot a few times, go to other end, shoot, repeat”. The end boss fight had me on the edge of my seat, despite it being a perfect example of that formula in action. The puzzle gameplay (i.e. the actual puzzles, not the fetching items) was clever, at times. Some of the riddles are too easy on normal, but even the easy ones are still quite well-done. I also enjoyed the writing of the riddles; the poems for the hanged men are a shining example of why. Despite flaws in the gameplay, the game manages to have an effective atmosphere. 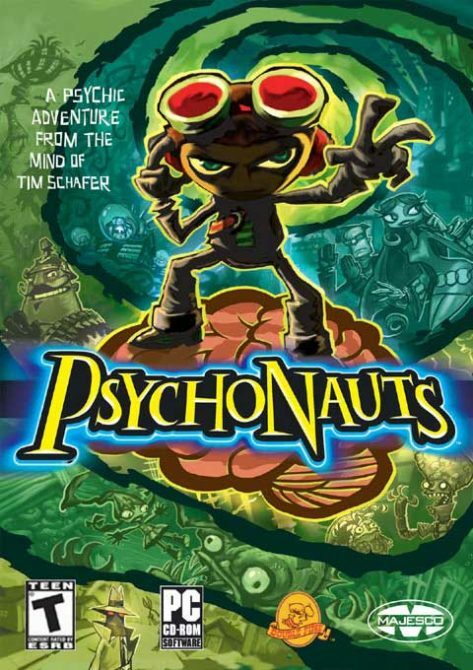 It’s helped by the extremely short draw distance (likely due to a desire to increase oppression and the lack of processing power in the PS2), good art and enemy designs, and the music. Oh man, the music. I’m a big music guy, so if a game has a good soundtrack, I’ll give it many good marks for it. Silent Hill 2‘s soundtrack is one of the most effective I’ve ever listened to. From oppressive ambiance to hard rock to painfully beautiful piano melodies, it adds so much to each scene. “Promise” and “Theme of Laura” still send shivers up my spine and put tears in my eyes. Akira Yamaoka, my hat goes off to you. 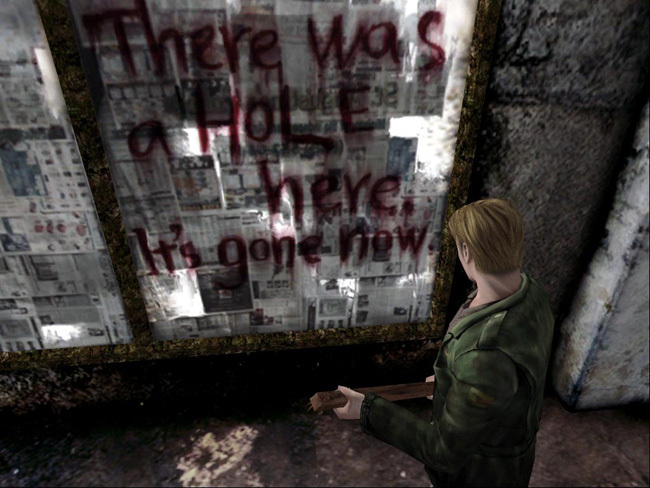 The gameplay’s flawed, and a lot of the voice acting is… sub-par, to say the least, but despite all of that, Silent Hill 2 tells an amazing story and tells it well. It knows how to create a good atmosphere, and it knows how to get its emotional claws into the player. Easily one of the best narratives I’ve ever experienced, and that is what makes this game more than worth playing. I don’t think I’ve ever played another game with a narrative that left me so in awe. 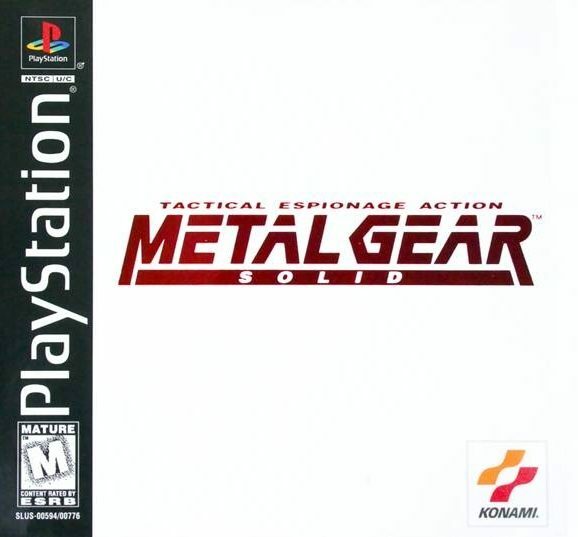 No other game made me sit in front of my television, staring at the title screen for half an hour, contemplating how good that story was. 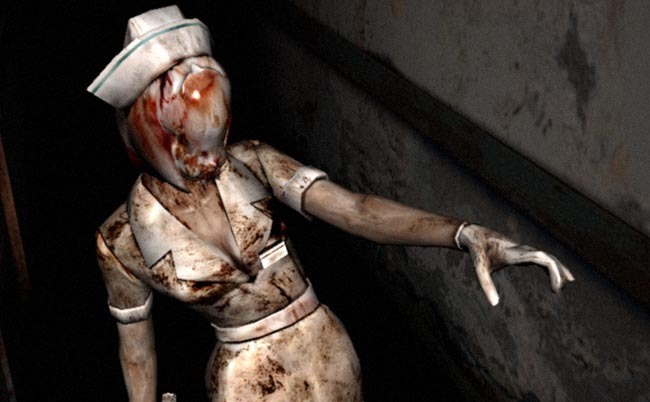 Silent Hill 2 is a diamond in the rough, but it shines like very few other games do. And that shine has not faded with age.